When it comes down to it, some of this stuff may have life or death implications. Who knows? As far as teleconnections are concerned, this is an ultimate teleconnection model. The science has been concentrating so much on teleconnections on earth, they have forgotten about the significant teleconnection between the moon and the earth. e.g. moonquakes have also been linked to the earth's gravitational pull on the moon. Comment Source:When it comes down to it, some of this stuff may have life or death implications. Who knows? As far as teleconnections are concerned, this is an ultimate teleconnection model. The science has been concentrating so much on teleconnections on earth, they have forgotten about the significant teleconnection between the moon and the earth. e.g. moonquakes have also been linked to the earth's gravitational pull on the moon. Deadly indeed. So earthquake and moonquake events should somehow be correlated? Is there a moonquake time series? Comment Source:Deadly indeed. So earthquake and moonquake events should somehow be correlated? Is there a moonquake time series? Jim, What's great about the moon is that they can see all the fissures and faultlines right on the surface, and back through the ages. These form distinct patterns in longitude and lattitude that align with the orbital path. "Stresses caused by tidal forces also cause a regular monthly pattern of moonquakes on Earth's Moon." This concept was accepted first because the earth's pull on the moon is proportionally greater than the moon's pull on the earth. Comment Source:Jim, What's great about the moon is that they can see all the fissures and faultlines right on the surface, and back through the ages. These form distinct patterns in longitude and lattitude that align with the orbital path. https://en.m.wikipedia.org/wiki/Tidal_force "Stresses caused by tidal forces also cause a regular monthly pattern of moonquakes on Earth's Moon." Which links to Neil de Grasse Tyson article This concept was accepted first because the earth's pull on the moon is proportionally greater than the moon's pull on the earth. I don't know whether the '“new” broadband seismic records are accessible from the paywalled Kawamura paper (not up to open sci standards, eh) or from his webpage. So I went to the NASA website and found that the Apollos' seismic data is on mag. tape. You'd think you could just type "moonquake time series" and get a graph. They might be facing financial cuts but they could spend some mars money on data librarians. Comment Source:I don't know whether the '“new” broadband seismic records are accessible from the paywalled Kawamura paper (not up to open sci standards, eh) or from his webpage. So I went to the NASA website and found that the Apollos' seismic data is on mag. tape. You'd think you could just type "moonquake time series" and get a graph. They might be facing financial cuts but they could spend some mars money on data librarians. The wikipedia page on earthquake prediction has a salutary account of bogus claims and failures. The wikipedia page also gives references for the terms of the predictability debate. "Despite the confident announcement four decades ago that seismology was "on the verge" of making reliable predictions, there may yet be an underestimation of the difficulties. As early as 1978 it was reported that earthquake rupture might be complicated by "heterogeneous distribution of mechanical properties along the fault", and in 1986 that geometrical irregularities in the fault surface "appear to exert major controls on the starting and stopping of ruptures". Another study attributed significant differences in fault behavior to the maturity of the fault. These kinds of complexities are not reflected in current prediction methods. Earthquake prediction may be intrinsically impossible. It has been argued that the Earth is in a state of self-organized criticality "where any small earthquake has some probability of cascading into a large event". It has also been argued on decision-theoretic grounds that "prediction of major earthquakes is, in any practical sense, impossible." That earthquake prediction might be intrinsically impossible has been strongly disputed But the best disproof of impossibility – effective earthquake prediction – has yet to be demonstrated." I had to dig out working links to the refs. Geller, Robert J.; Jackson, David D.; Kagan, Yan Y.; Mulargia, Francesco (14 March 1997), "Earthquakes Cannot Be Predicted", Science, 275 (5306): 1616, doi:10.1126/science.275.5306.1616. Matthews, Robert A. J. (December 1997), "Decision-theoretic limits on earthquake prediction", Geophysical Journal International, 131 (3): 526–529, Bibcode:1997GeoJI.131..526M, doi:10.1111/j.1365-246X.1997.tb06596.x.](http://web.csulb.edu/~rodrigue/quake/geller.html). Sykes, Lynn R.; Shaw, Bruce E.; Scholz, Christopher H. (1999), "Rethinking Earthquake Prediction" Pure and Applied Geophysics, 155 (2–4): 207–232, Bibcode:1999PApGe.155..207S, doi:10.1007/s000240050263. Evison, Frank (October 1999), "On the existence of earthquake precursors", Annali di Geofisica, 42 (5): 763–770. Comment Source:The wikipedia page also gives references for the terms of the predictability debate. * https://en.m.wikipedia.org/wiki/Earthquake_prediction#1990:_New_Madrid.2C_U.S._.28Browning.29 "Despite the confident announcement four decades ago that seismology was "on the verge" of making reliable predictions, there may yet be an underestimation of the difficulties. As early as 1978 it was reported that earthquake rupture might be complicated by "heterogeneous distribution of mechanical properties along the fault", and in 1986 that geometrical irregularities in the fault surface "appear to exert major controls on the starting and stopping of ruptures". Another study attributed significant differences in fault behavior to the maturity of the fault. These kinds of complexities are not reflected in current prediction methods. Seismology may even yet lack an adequate grasp of its most central concept, elastic rebound theory. A simulation that explored assumptions regarding the distribution of slip found results "not in agreement with the classical view of the elastic rebound theory". (This was attributed to details of fault heterogeneity not accounted for in the theory.) Earthquake prediction may be intrinsically impossible. It has been argued that the Earth is in a state of self-organized criticality "where any small earthquake has some probability of cascading into a large event". It has also been argued on decision-theoretic grounds that "prediction of major earthquakes is, in any practical sense, impossible." That earthquake prediction might be intrinsically impossible has been strongly disputed But the best disproof of impossibility – effective earthquake prediction – has yet to be demonstrated." I had to dig out working links to the refs. Geller, Robert J.; Jackson, David D.; Kagan, Yan Y.; Mulargia, Francesco (14 March 1997), ["Earthquakes Cannot Be Predicted", Science, 275 (5306): 1616, doi:10.1126/science.275.5306.1616](http://web.csulb.edu/~rodrigue/quake/geller.html). Matthews, Robert A. J. (December 1997), "Decision-theoretic limits on earthquake prediction", Geophysical Journal International, 131 (3): 526–529, Bibcode:1997GeoJI.131..526M, doi:10.1111/j.1365-246X.1997.tb06596.x.](http://web.csulb.edu/~rodrigue/quake/geller.html). Sykes, Lynn R.; Shaw, Bruce E.; Scholz, Christopher H. (1999), "Rethinking Earthquake Prediction" [Pure and Applied Geophysics, 155 (2–4): 207–232, Bibcode:1999PApGe.155..207S, doi:10.1007/s000240050263](https://link.springer.com/article/10.1007%2Fs000240050263). Evison, Frank (October 1999), "On the existence of earthquake precursors", [Annali di Geofisica, 42 (5): 763–770](http://www.earth-prints.org/bitstream/2122/1416/1/01%20evison.pdf). I've started a new thread on Earthquakes as this is getting too unwieldy and will post appropriate links there. Comment Source:I've started a new thread on Earthquakes as this is getting too unwieldy and will post appropriate links there. These are slight variations in the earth's angular velocity that are causing this. Conservation of momentum principle in action. Comment Source:Sounds good. 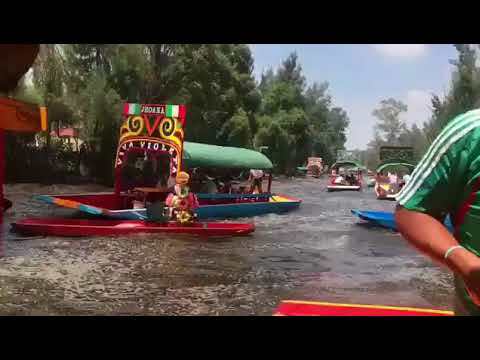 I thought I would link to this video of ENSO-like sloshing induced by the Mexico earthquake https://youtu.be/Ju3Z6lcB0J4 These are slight variations in the earth's angular velocity that are causing this. Conservation of momentum principle in action. 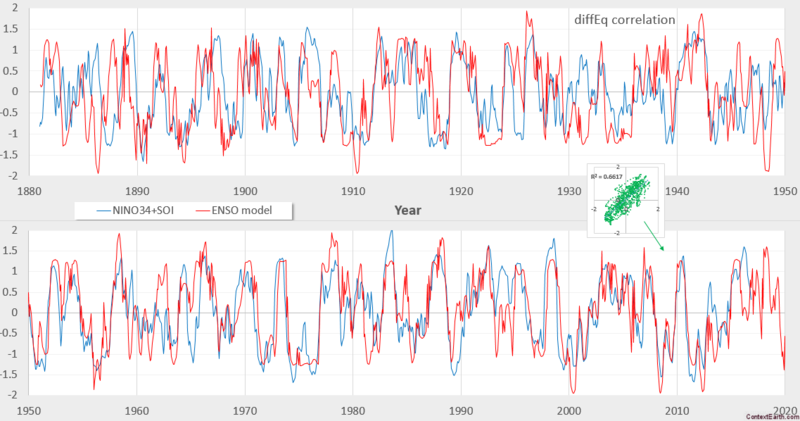 A thought provoking question to get this thread back to ENSO -- Is ENSO just a continuous tidal wave or tsunami operating on the thermocline, with the lunisolar gravitational forcing providing the stimulus? Comment Source:A thought provoking question to get this thread back to ENSO -- Is ENSO just a continuous tidal wave or tsunami operating on the thermocline, with the lunisolar gravitational forcing providing the stimulus? there is now an new blogpost concerning the tectonics question of comment #85 at http://www.randform.org/blog/?p=6904. Still looks as if the Eurasian plate might break. Comment Source:there is now an new blogpost concerning the tectonics question of comment #85 at <a href="http://www.randform.org/blog/?p=6904">http://www.randform.org/blog/?p=6904</a>. Still looks as if the Eurasian plate might break. Sloshing induced by the predictable long-period lunar tides and seasonal impulses.